In our signature program, the 8-Week Transformation Challenge, you will receive a customized exercise program, a fully developed nutrition guide, access to 24/7 email communication, Facebook group accountability, new weekly recipes, weekly motivation, and the tools to help you be successful. We've helped dozens of clients see true transformation in just 8 weeks. Sign up today. Are you ready to create the BEST VERSION of YOU? Can you imagine hitting your goal weight? HERE IS THE FIRST STEP YOU'VE BEEN WAITING FOR!! Our next challenge will begin April 22nd! This is not your average weight loss challenge, strict diet change, crazy spit in your face personal trainer, this is an 8 Week Transformation Challenge, that challenges you to create the best version of YOU! If you are looking to only move the needle of the scale, this is not for you! If you are looking to create a healthy, sustainable, strong, confident LIFESTYLE CHANGE, then look no further! 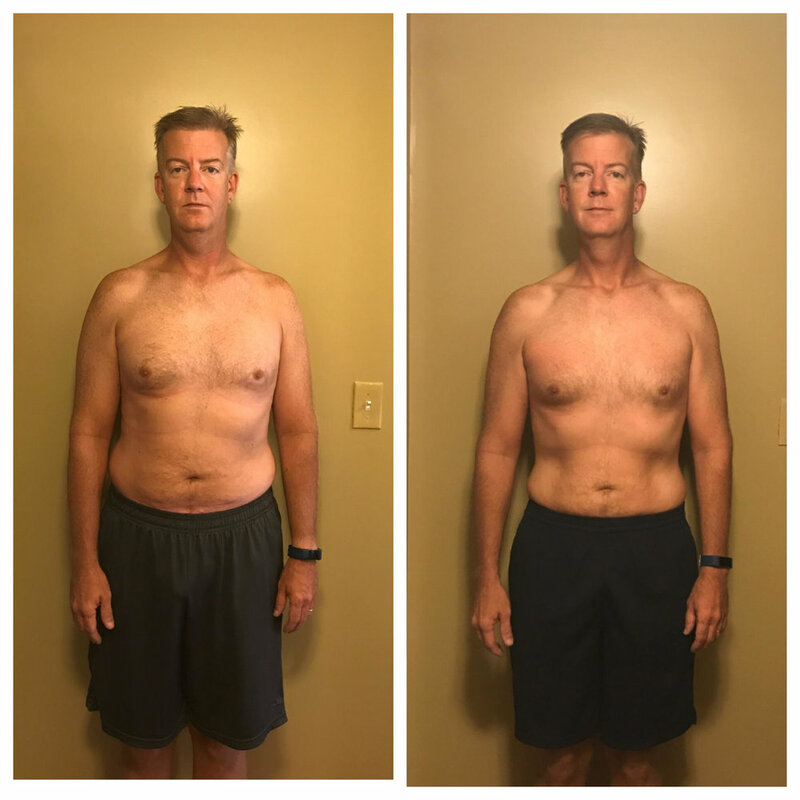 Our 8 Week Transformation Challenge was not just designed for you to compete against other participants, but it is designed for you to challenge yourself to reach your goals and make changes you have struggled with in the past. Once you commit to the challenge, you will receive a Questionnaire that will allow us to design your 8 week custom exercise plan. This plan will be designed based off of your current exercise experience level, your specific goals, and designed around any musculoskeletal issues/dysfunctions you may have. Along with your custom exercise plan we will provide you with our nutrition guide that is based on our core beliefs that will help you build a proper, healthy and sustainable nutrition diet and lifestyle. We will provide you with foods to consume, foods to avoid, tips, how to “Set Your Table” and our meal schedule template. After you receive your personalized program we will schedule a 1 on 1 phone consultation to review and help answer any questions. This consultation will ensure you start your 8 week transformation with no questions and clear vision of what it takes for you to be successful. You will be invited to join our Facebook Group Page where you will receive daily motivation, resources, education, incentives, recipes and support throughout the 8 weeks along with bi-weekly check-ins and access to 24/7 email communication. We are there to help you every step of the way. Envision yourself 8 weeks from now, at your ideal body weight, overflowing with energy, stronger than ever, and confident that you have built a foundation to live a more vibrant, healthy life! Our vision for our 8 Week Transformation Challenges is to give you the tools and strategies to create the best version of YOU! Challenge will begin Monday, April 22nd and end Sunday, June 16th. Registration ends April 18th, so please register ASAP to guarantee your spot! We designed the 8 Week Transformation Challenge after I went through a transformation myself. I finally had a realization that I was the heaviest I've ever been, always winded with normal daily activity, my favorite clothes did not fit AT ALL, and I just felt lethargic and bad for myself. I was in a rut and needed a way out. It didn't happen over night but I knew I had to get back to a strong exercise routine and change how I ate or things would continue to get worse. Thank you Jon and Nancy and The LIVE RIGHT Way for the awesome workout and nutrition plans during the 8 week challenge! The results I’ve seen in just 8 weeks have been great and I can’t wait to continue living right as I move forward. 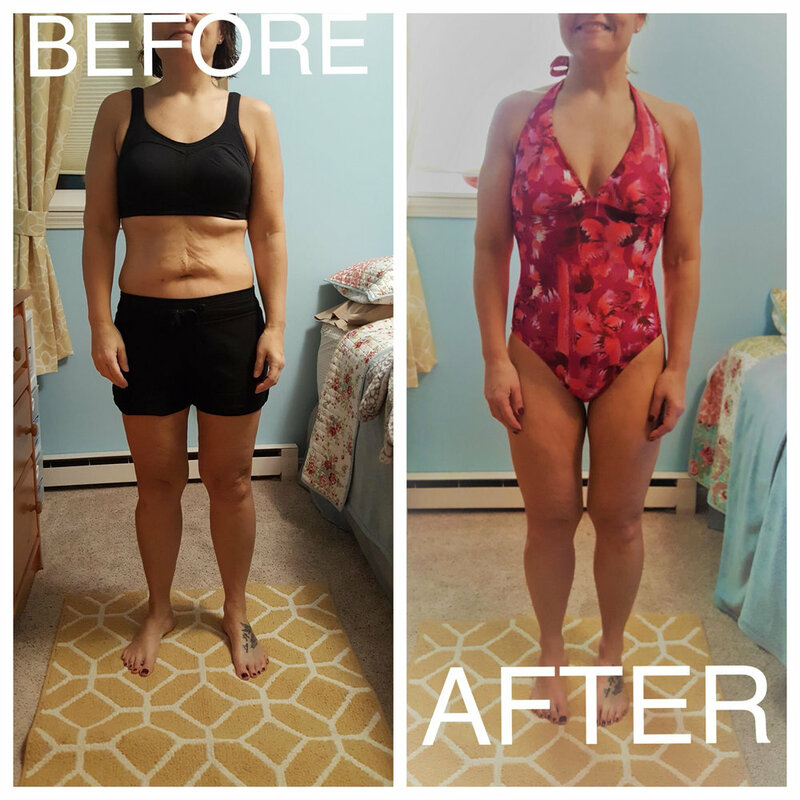 My daughter said to wear the bathing suit that has not fit in 2 years, so I did! The clothes I had on 8 weeks ago DO NOT FIT! This program came along at the perfect time. I was ready for the challenge. I feel so much better about myself both physically and emotionally and in such a short time. I have been working for years to do what I had been able to do in 8 weeks. The biggest challenge now will be to keep this going, but I know I can do it if I keep focused. I can honestly say for the first time in a very, very long time, I have a much healthier and controlled relationship with food. That is something I never thought was possible for me! I am very grateful for your support. You can change a lot in 8 weeks! The biggest thing that I learned was that you can enjoy yourself and splurge, just don't let one day of splurging turn into two or three. You don't necessarily have to restrict what you eat, just make smart choices and learn how those choices effect you! I lost almost 25 pounds in 8 weeks and I'm down a few more since then! Other participants reported dramatic strength gains in the gym, boosted energy levels, drastic changes in their everyday diet, and learned to create a healthy lifestyle that they have come to love. What goals do YOU have but need help achieving them?